When a fire is required a fire is required! 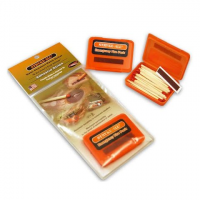 Don`t get caught without this valuable survival tool that makes it a snap to produce flame in almost any conditions. STRYKE-ALL!